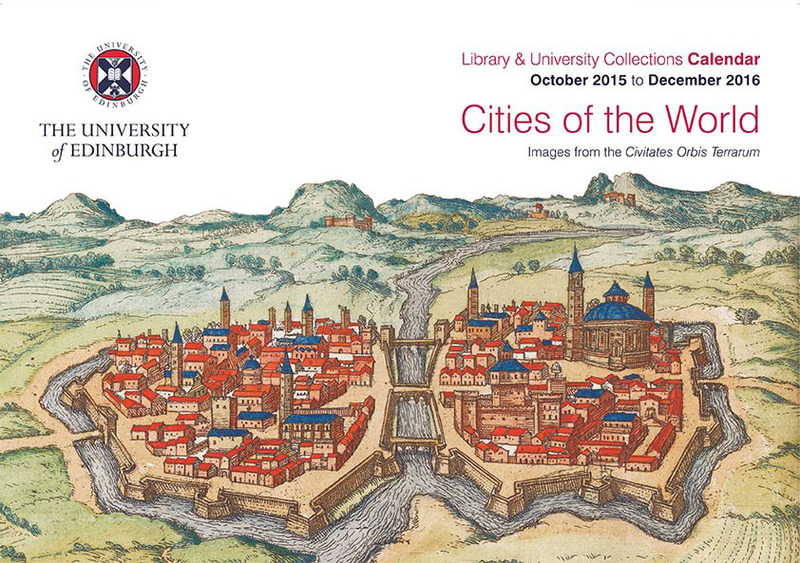 The 2016 Library & University Collections calendar is out now, offering a fascinating insight into how the world looked at the dawn of the modern era. 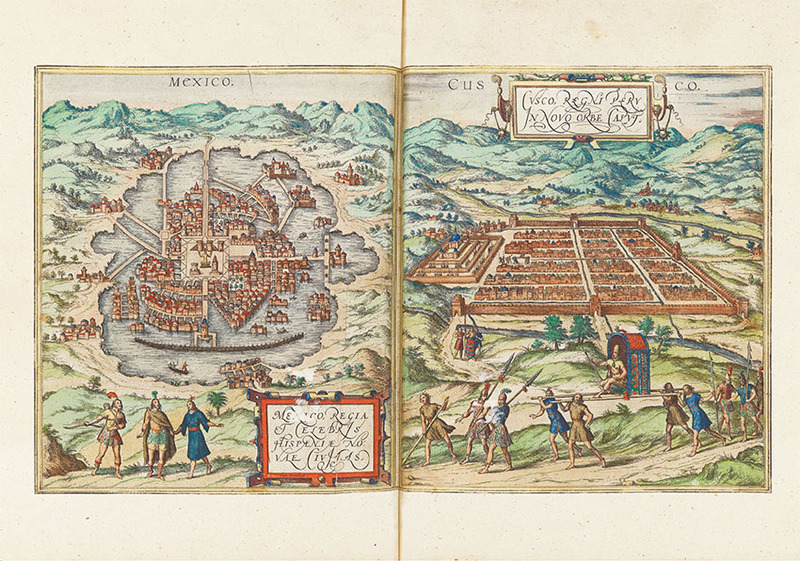 Featuring maps, city plans and illustrations from the sixteenth century Civitates Orbis Terrarum, it contains an incredible diversity of content ranging from an engraving of London at the time of Shakespeare through to stunning illustrations of the great American capitals of Mexico City and Cusco on the eve of the Spanish conquest. 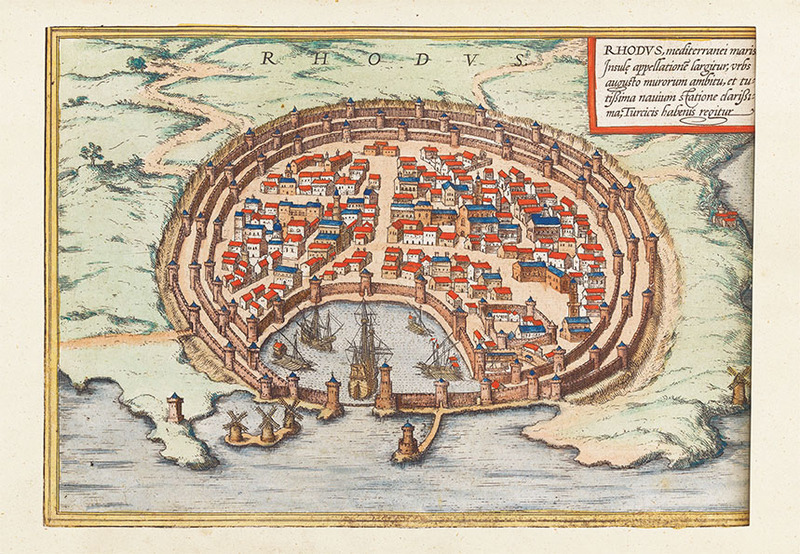 Some cities are more recognisable than others; the magnificent harbour of Rhodes Town shows the city’s mighty fortifications that still stand to this day, while the African cities of Mombasa and Sofala bear almost no resemblance to their present appearance. Priced £8 and spanning a fifteen month period from October 2015 to December 2016, the calendar can be purchased online at http://www.giftshop.ed.ac.uk/2016-Calendar.html and in person from the Visitor Centre, the Centre for Research Collections and the Main Library helpdesk. The images can also be viewed online in high resolution on our dedicated calendar collection page: http://collections.ed.ac.uk/calendars. The Civitates Orbis Terrarum is just one of thousands of items in our collection which have not yet been fully digitised. If you would like to talk to us about supporting our digitisation activity, please email the Development Officer for Library and University Collections at alumni@ed.ac.uk.